Here’s some fun casting news! 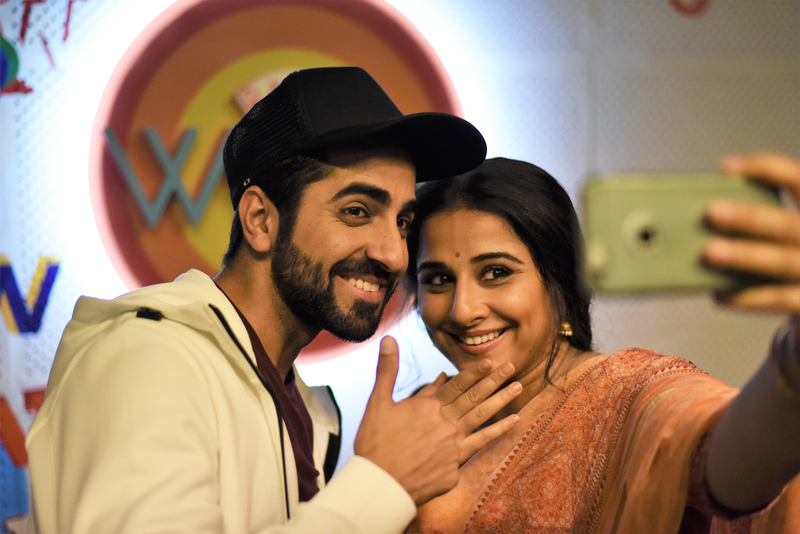 We hear the fab Ayushmann Khurrana has a cool cameo in the Vidya Balan starrer Tumhari Sulu. Now, most of the the details of the cameo have been kept under wraps but we do know that Ayushmann appears as himself. He actually shot the scene with Vidya just a few months ago. Look how cute they are together! Directed by Suresh Triveni, and produced by T-Series and Ellipsis Entertainment, the slice of life film releases on November 17. Stay tuned we have an exclusive interview with Vidya Balan and director Suresh Triveni! 15 queries in 0.540 seconds.